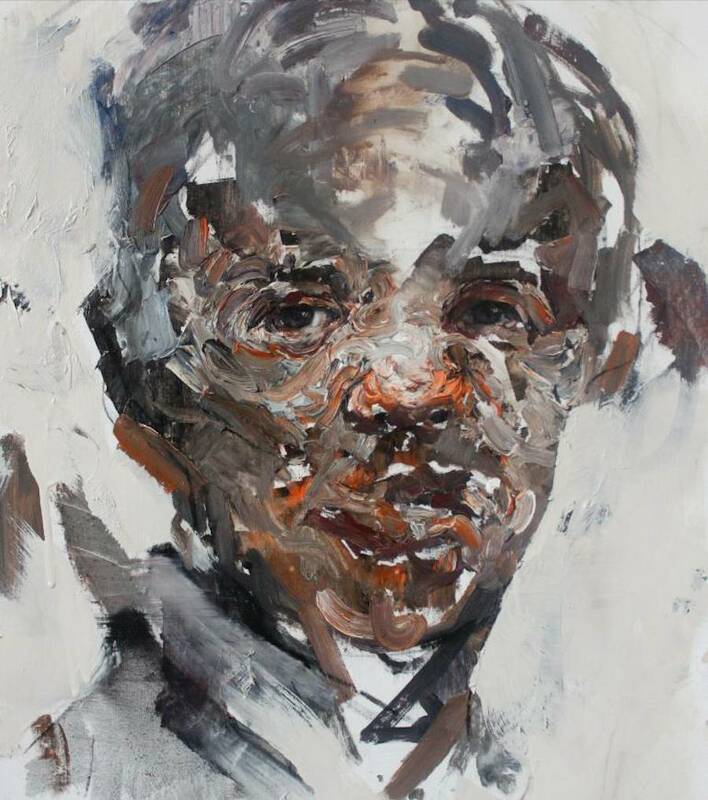 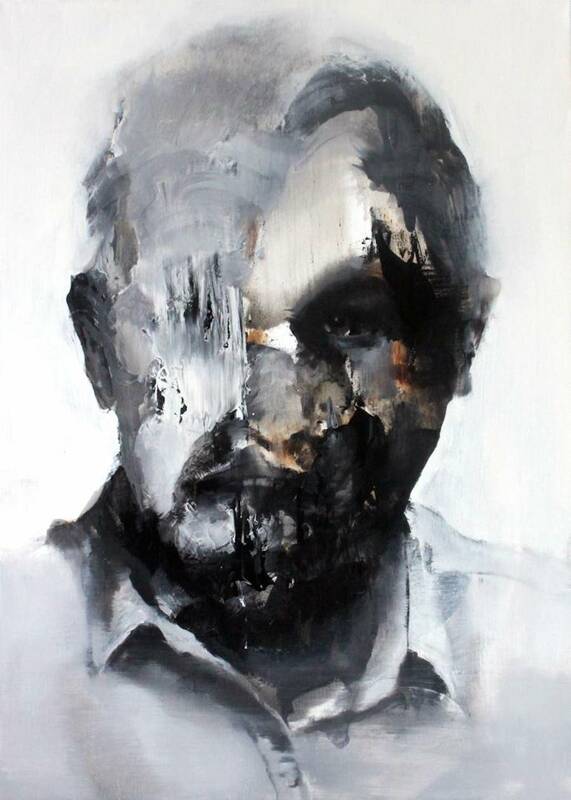 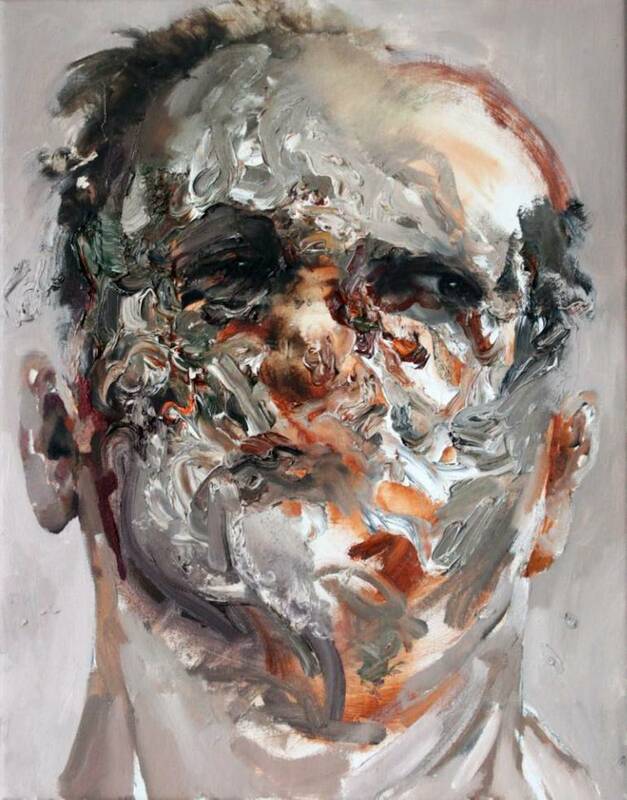 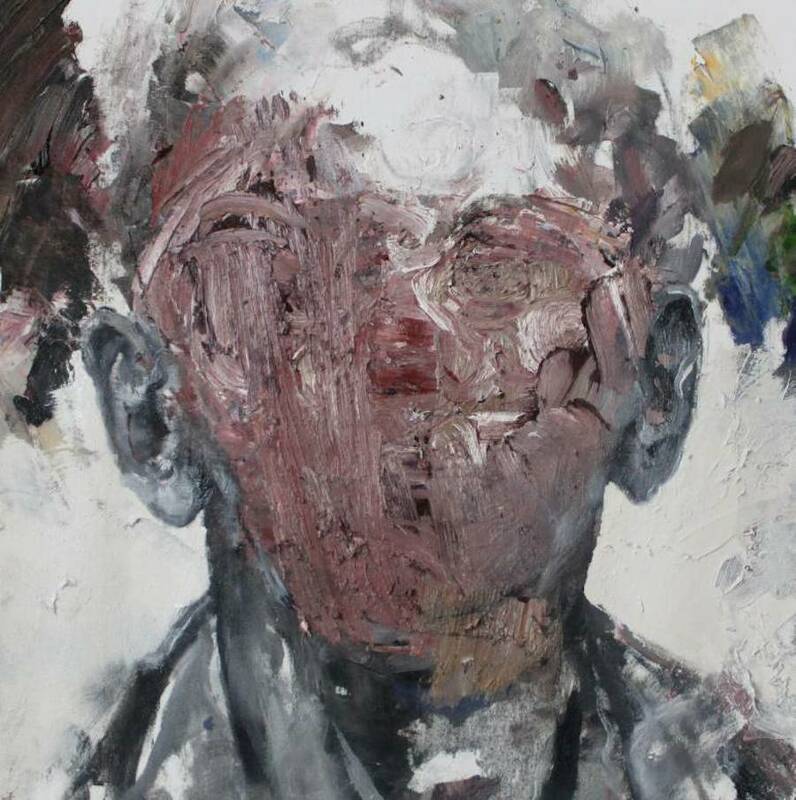 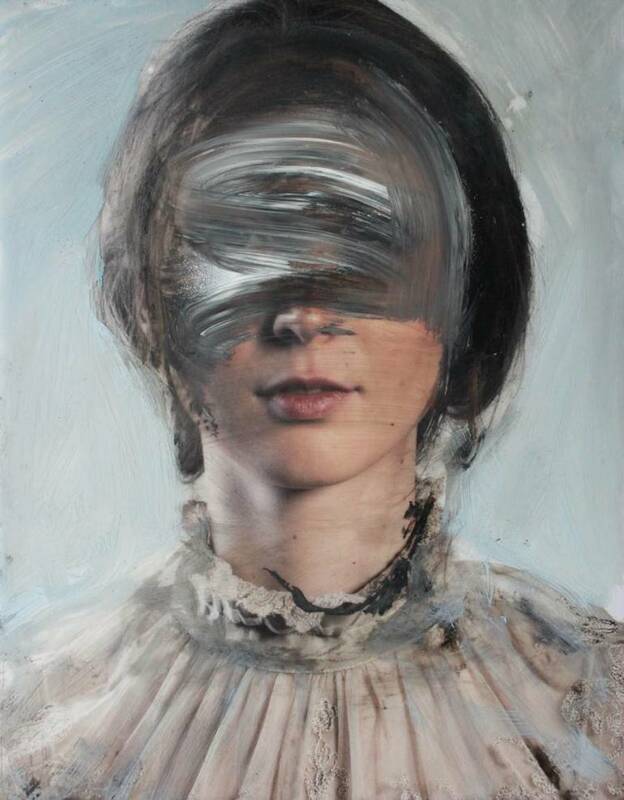 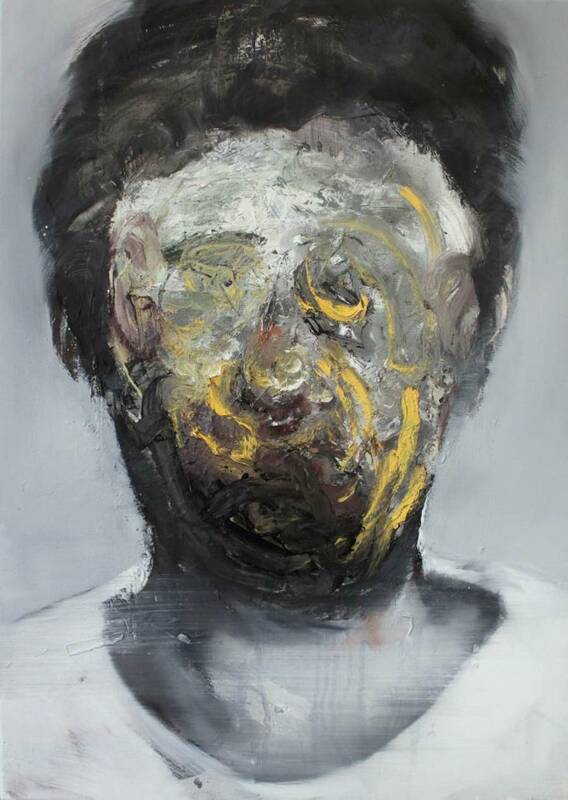 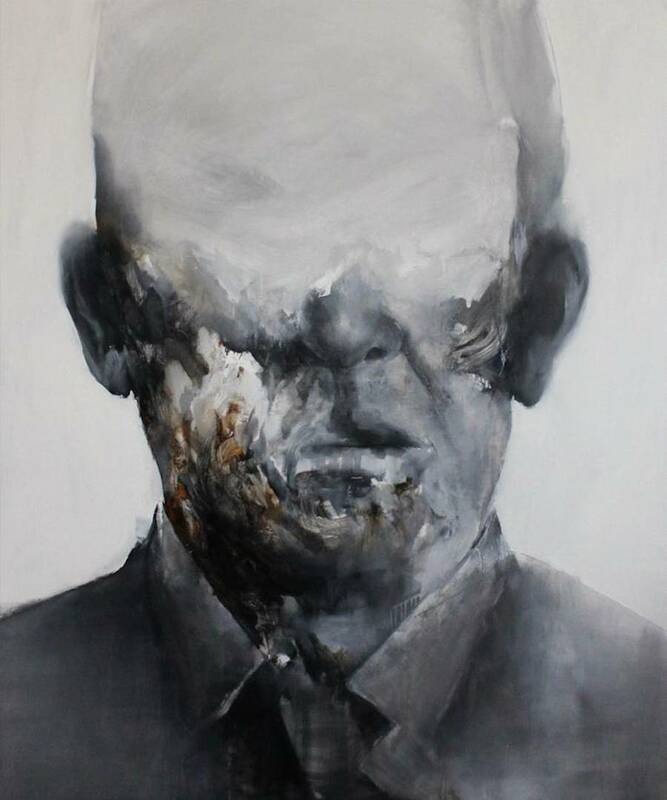 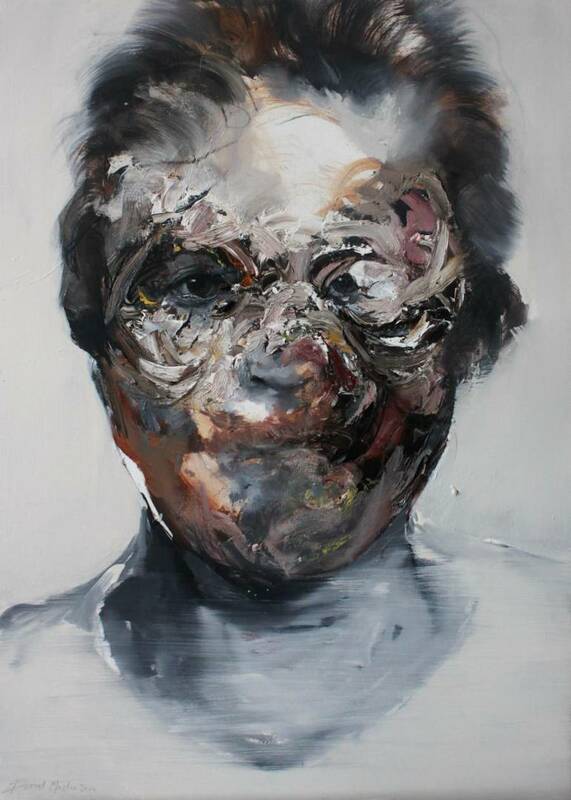 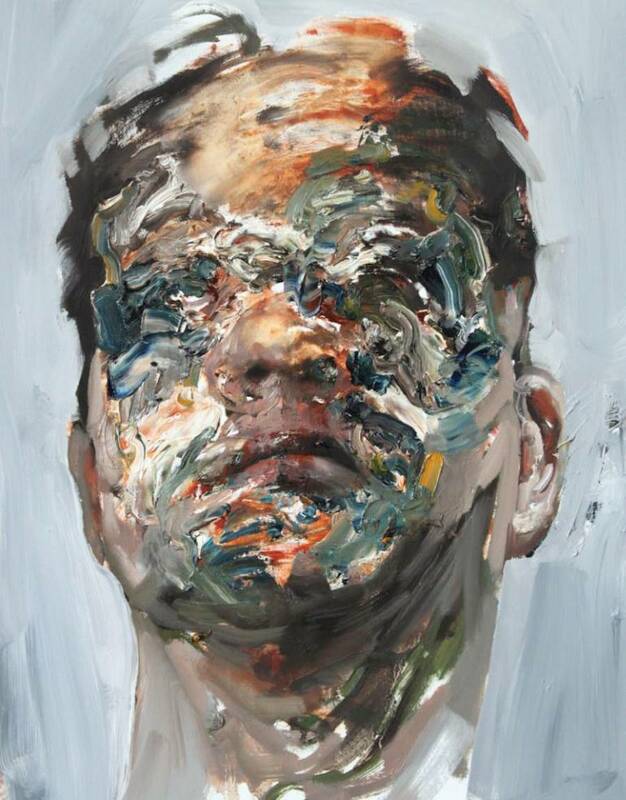 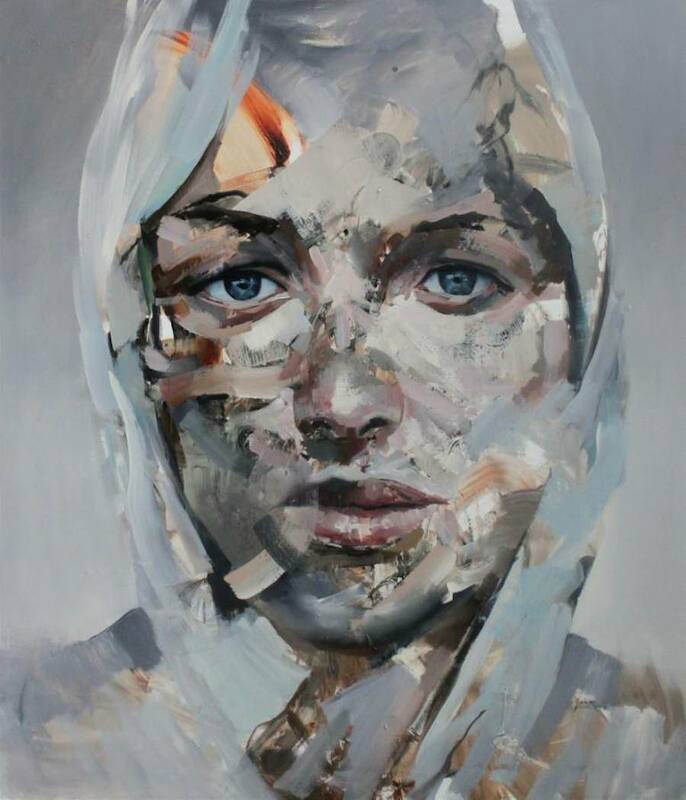 The work of Dutch painter Daniel Martin is between realism and abstract. 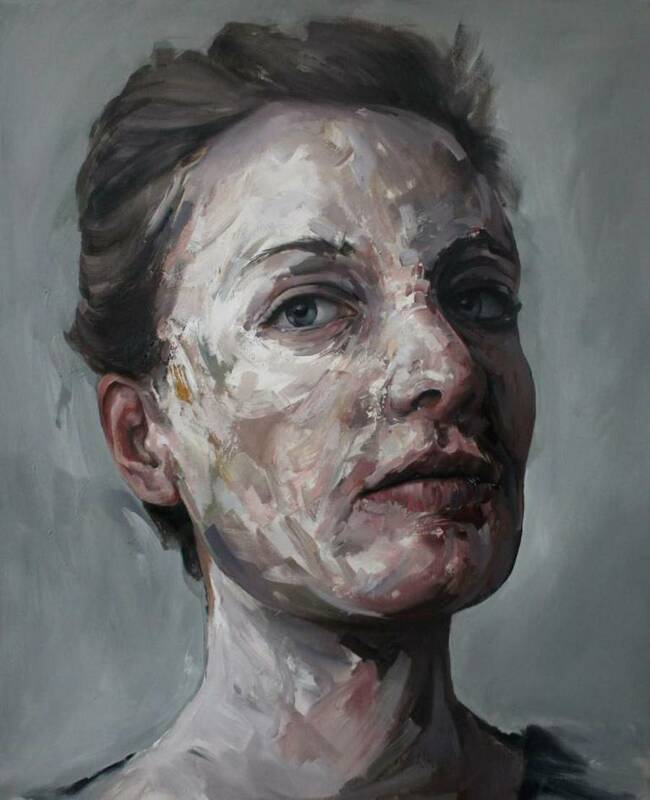 After painting his realistic portraits, he deconstructs automatically the faces of the represented people, with brushstrokes and fingers strokes, like a disappearance of their identity. 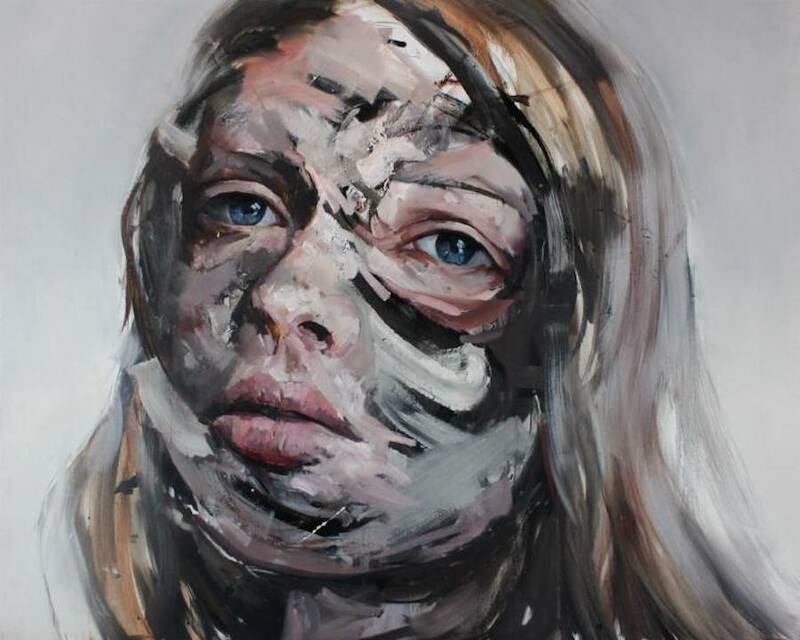 The imperfect beauty is a perpetual source of inspiration for this painter whose violent and dark works deal with chaos.